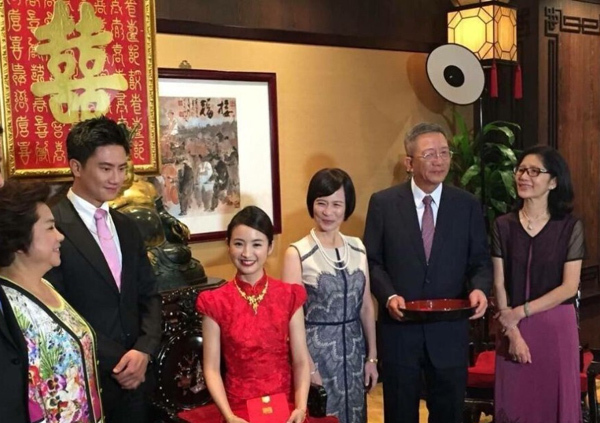 Taiwanese actress Ariel Lin (林依晨) and businessman Charles Lin (林于超) held their engagement party in Taipei on October 29. 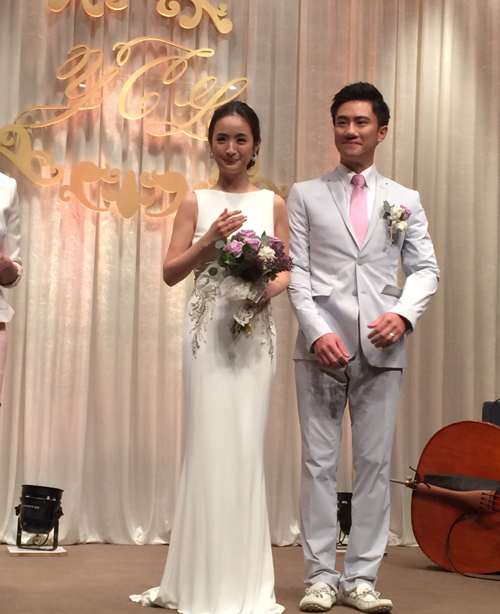 The couple will be tying the knot on December 24, 2014 and will reside in California after their marriage. The engagement party was held on the same day as Ariel’s 32nd birthday. 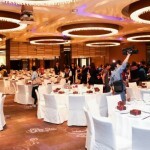 Nearly 500 guests were invited to celebrate the couple’s special occasion. 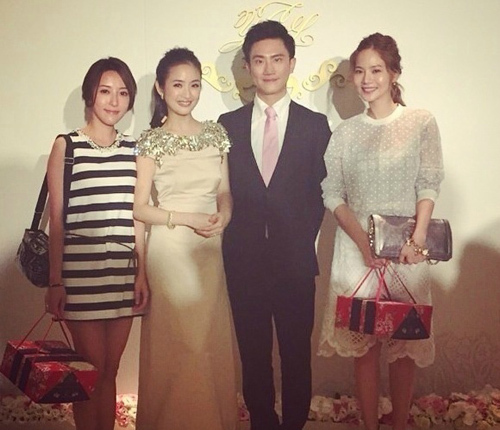 Good friends Christine Fan (范瑋琪), Blackie Chan (陳建州), Hu Ge (胡歌), Kai Ko (柯震東), Daniel Chan (陳曉東), and Janine Chang (張鈞甯) were present. 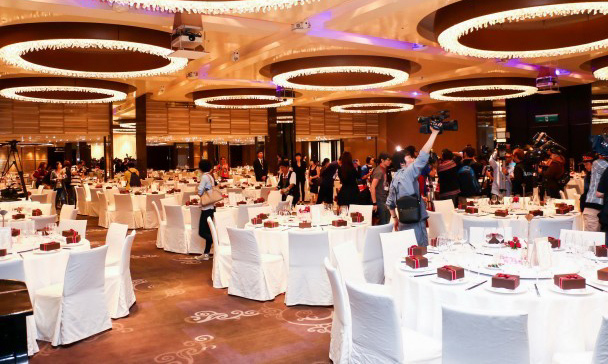 The engagement dinner banquet cost more than 1 million NTD, and over 700 wedding pastry boxes were distributed. 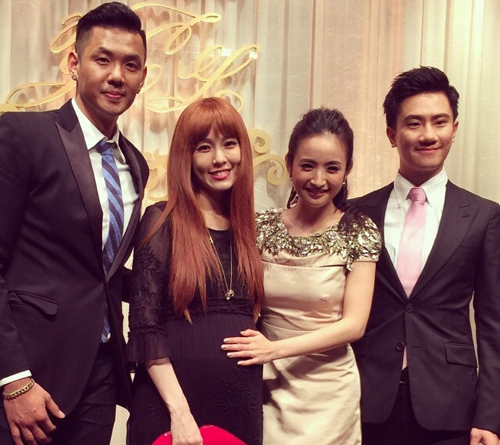 Planning to hold the wedding ceremony on Christmas Eve, Ariel explained that most of the guests will be from her fiancé’s side of the family and will not consist of any artistes. Wanting her honeymoon to be highly memorable, Ariel disclosed that she hopes to go to the South Pole after getting married. Although Ariel was in excellent spirits and could not stop smiling at her engagement party, the actress explained that she suffered from a severe case of insomnia the night before. Congrats to Ariel and Charles! Hope they are happy together forever! Can’t wait to see her wedding photos! Ariel and Charles look fantastic together. what a mean thing to say. When two people come together,it should be based on more than just physical looks and attraction. I am sure Charles has much more than just looks. I’m very happy for Ariel .so luck ariel . Ariel look gorgeous! Charles.. looks kinda weird but as long as he treat her well, its all good! Congrats to both. Was wondering if there were family objections earlier as they both have same surname which used to be frowned upon in olden days. 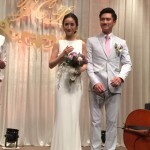 Congrats to couple. Wish them happiness!